When it comes to redecorating your home, stairways and landings are often overlooked as living rooms, kitchens and bedrooms glide their way up the priority list. While these are indeed key rooms that require careful consideration on the design front, it is important not to skip over ‘connector’ rooms such as the landing. The living room may be the heart of the home and we may spend a third of our lives in our bedrooms sleeping but the entrance hall and stairs are the first things people see as they enter so it is crucial that they give a good impression. One way to really grab attention and make a bold design statement is to opt for striking, eye-catching Carpetright carpets. While neutral colours tend to go with everything, it’s a very ‘safe’ move to play and won’t make that much of an impact. Bright block carpet colours such as radiant reds and perfect pinks can have a dramatic impact on a room and have the ability to give it a completely new lease of life. Whether you want to create a vibrant atmosphere with bright pink or you’re looking for something more soothing such as tranquil purple, a coloured carpet can cater to your tastes. Striped carpets are rapidly gaining popularity and it’s easy to see why. Opting for alternating wide and narrow stripes in bright colours makes for a dramatic effect and ensures your home is bang on trend. Choosing vertical striped carpet for stairs creates an illusion of length, which makes your home look taller. Treating the stairs to stylish stripes or a splash of colour also creates a focal point of interest if you’ve gone for a more neutral carpet in the entrance hall or on the landing. Another great way to convey bold design choices is by using patterned carpet. Certain patterns can bestow a sense of timeless elegance on a room, giving it a traditional feel; however there are also a vast range of patterned carpets that are more suited to contemporary tastes. Making bold choices with your carpet is a great way to lift a room, give it some character and stamp your individuality on your home, making it truly unique. 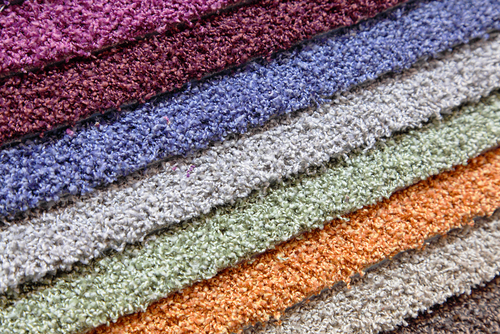 Would you agree that sometimes a carpet may be to expensive for remodelling? If so I usually advise clients, friends and familys to add a new bold rug to a room. This can add the same effect but on a budget. Wouldn’t you say so?